The fan dining chair by Tom Dixon is an exceptional seating, which puts an exclamation mark in each home and gives a modern touch to the classic Windsor Chair. The chair consists of mechanically shaped spindles made of wood, which form a curved backrest and a circular base. The cushion on the seat is covered with black leather. This creates a sculptural chair which is used at the dining table as well as free-standing to be an eye-catcher. 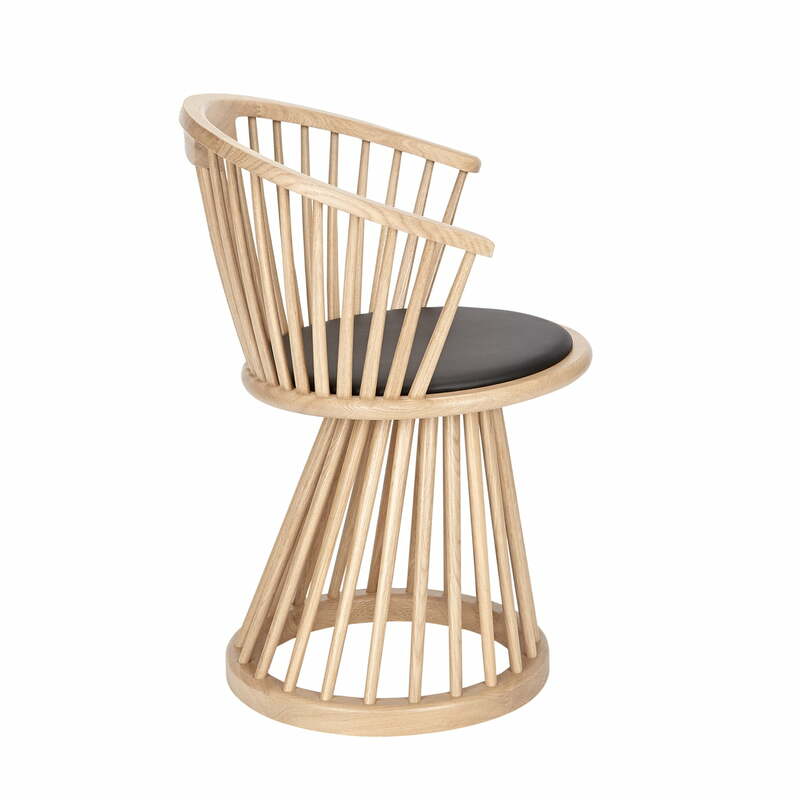 The frame of the fan dining chair by Tom Dixon is available in oak natural or black. The fan series includes a chair, a stool and a table. 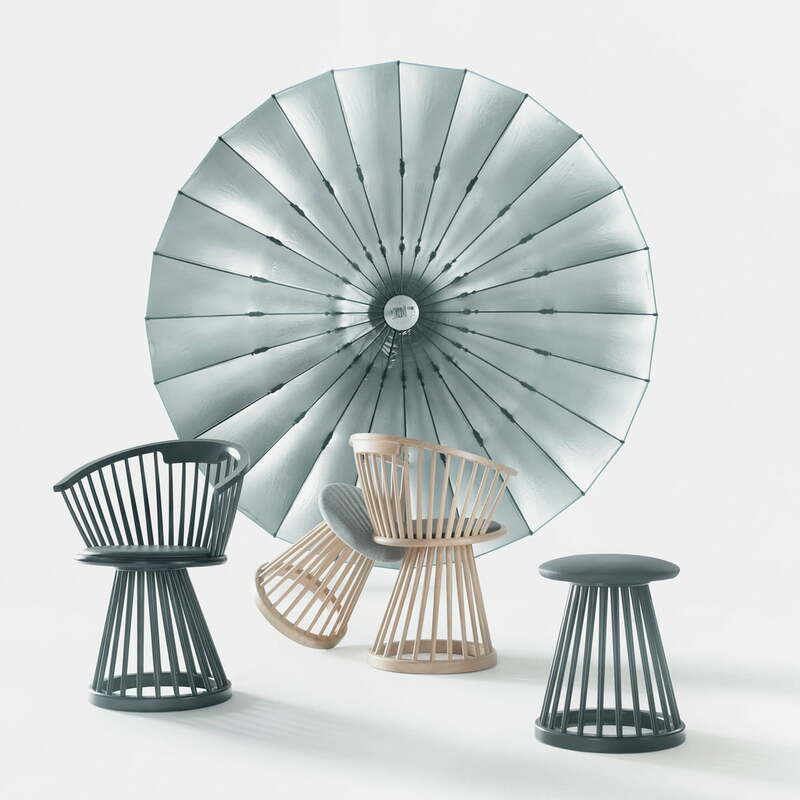 Individual image of the Fan Dining Chair by Tom Dixon. The fan dining chair consists of a frame in natural oak and a cushion with a cover made of black leather. 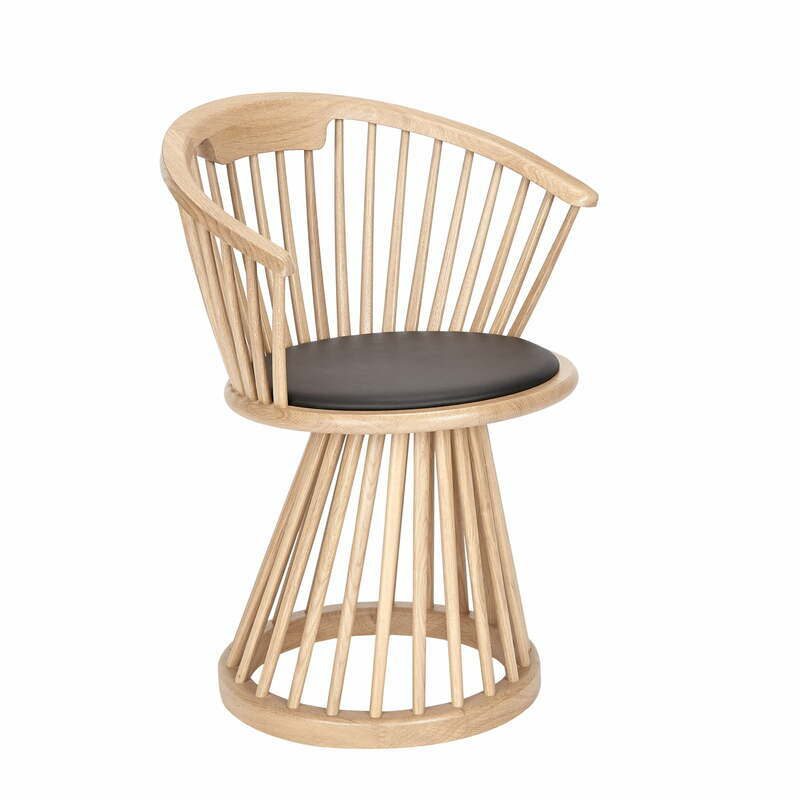 The chair consists of mechanically shaped spindles made of wood, which form a curved backrest and a circular base. The cushion on the the seat is covered with black leather. 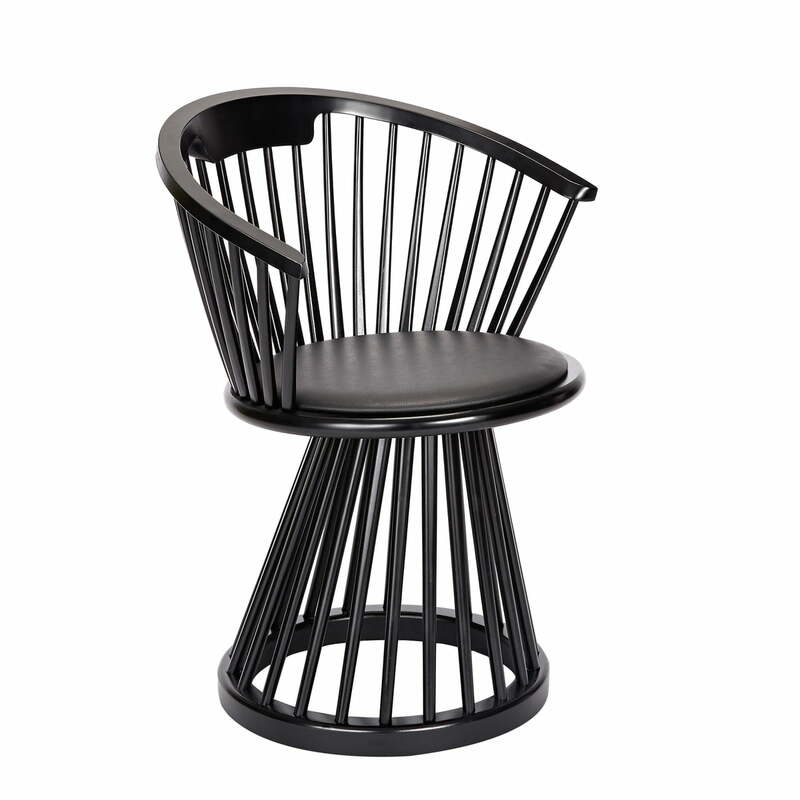 Individual image of the fan dining chair by Tom Dixon in natural oak with a seat upholstered in black leather. The source of inspiration for the chair was the classic Windsor Chair. Individual image of the Fan Dining Chair by Tom Dixon. The frame of the fan dining chair by Tom Dixon is made of oak in black and the seat cushion is coated with a layer made of black leather. 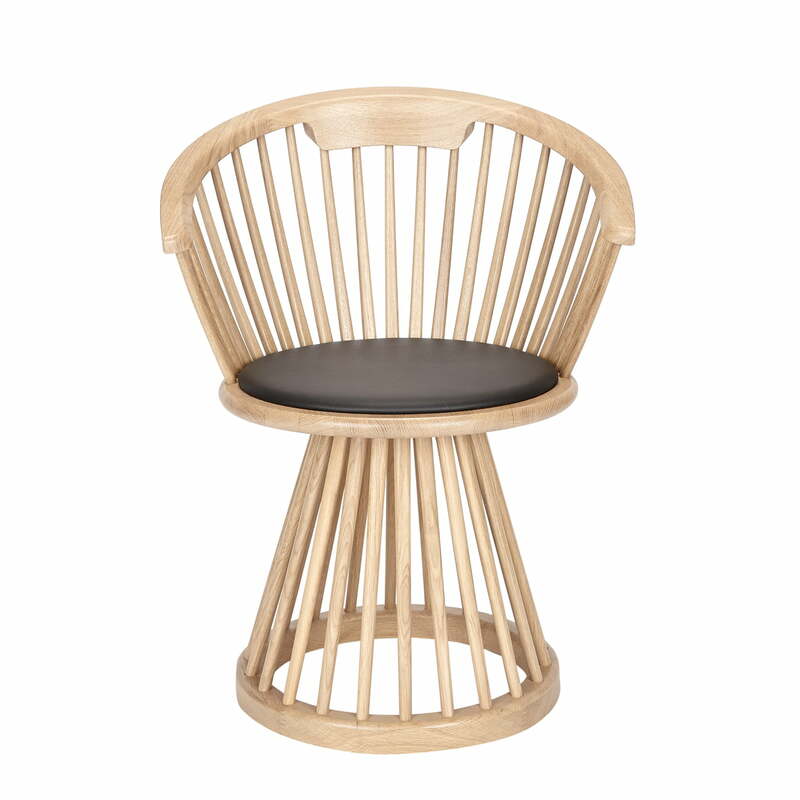 The frame of the fan dining chair by the designer Tom Dixon is available in oak natural or black. The fan series includes a chair, a stool and a table.